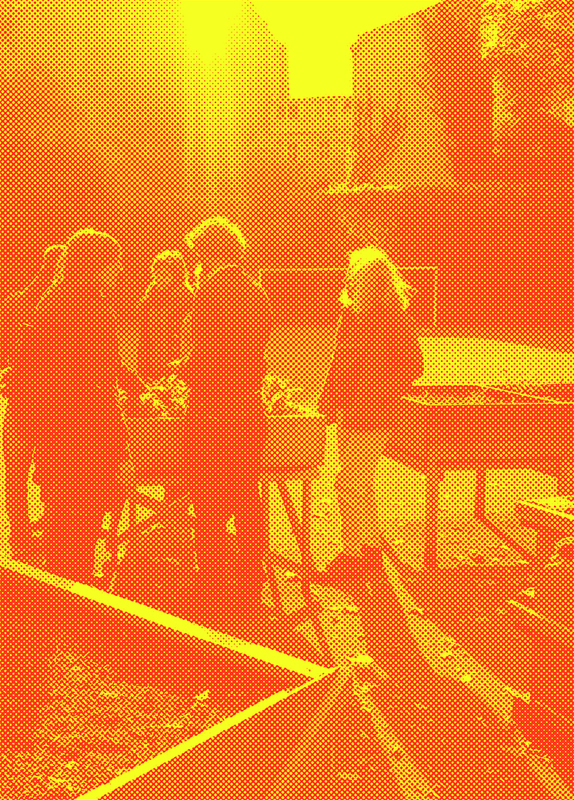 The Neighborhood Academy Prinzessinnengarten is a collaborative project and open for the participation of everyone interested. It was initiated by Åsa Sonjasdotter (visula artist), Marco Clausen (Prinzessinnengarten), Elizabeth Calderon Lüning (common grounds e.V.) as well as Christa Müller, Andrea Baier und Karin Werner (anstiftung). Åsa Sonjasdotter is a visual artist. Her artistic engagement often takes place over time, following the conditions of the involved participants and investigated subjects. 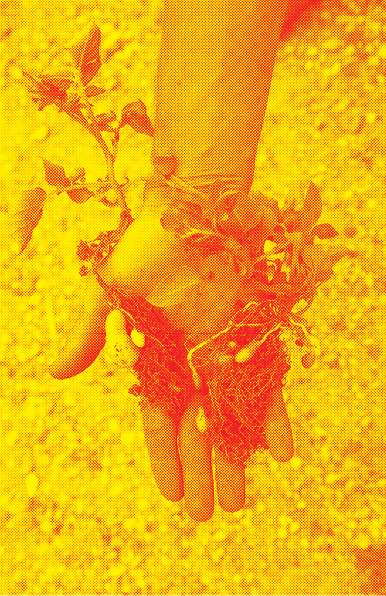 In the long term project Potatoes’ Perspective Sonjasdotter investigates the relation between humans and plants as manifested in cultivated plants. She was professor at the Academy of Contemporary Art in Tromsø, Norway, an academy she took part in establishing, from 2007 to 2014. Sonjasdotter was a founding member of the feminist art- and action group Women Down the Pub from 1996 to 2005. Her most recent works are Une histoire de météorologie, de nourriture et de révolution (Musée de la Chasse et de la Nature et L’Institut suédois, Paris, France 2015); Tote Wespen fliegen länger: bewegte Natur-Kulturen (Museum für Naturkunde Berlin, Deutschland 2015) Native Food and Invasion (Sapporo International Arts Festival, Sapporo, Japan, 2014). Marco Clausen is a historian and co-founder of Prinzessinnengarten. Since 2009, he has help build up this nonprofit community project and cafe as well as co-written the book Prinzessinnengarten. Transforming Waste Land into an Urban Garden. In addition, he initiated the campaign Wachsen lassen! (Let it Grow!). The campaign attained over 30 000 signatures from people all over the world in 2012, supporting Prinzessinnengarten in their right to stay at Moritzplatz. The campaign was successful, guaranteeing the stay of the garden until at least the end of 2018. Through the political commitment to alternative developments of the urban and the urban-rural, the area of urban resilience emerged and became an integral part of the Prinzessinnengarten, led by Clausen. Within this field, he makes publications, holds lectures, does program organization, public relations, organizes international exchanges and exhibitions with the focus on future-proof urban development and city-country relations. His work often lies in building cooperation between bottom-up projects, administrations, arts and sciences. Clausen is involved in different networks on issues of urban and rural commons, community organizing, participation, urban food-production, and food sovereignty and has, among other things co-initiated the Urban Gardening Manifesto together with the anstiftung foundation and other garden activists. Andrea Baier is a research associate of the anstiftung. She studied development sociology at the University of Bielefeld, researched on peasant cultures in Indonesia and spent several years in research and teaching at the Oberstufen-Kolleg of the University of Bielefeld. She is co-founder of the Institute for Theory and Practice of Subsistence. From 2004-2006, she worked on the anstiftung-Project Sustainable Lifestyles and Everyday-Life; before that in the BMBF-Research Project Approaches of Sustainable Management in Rural Society. Since 2007, she has worked with anstiftung with research and evaluation with a special focus on subsistence, regionalizing and sustainable lifestyles. Her last publication was Stadt der Commonisten. Neue urbane Räume des Do it yourself (together with Christa Müller and Karin Werner) and Wie soll man gesund sein, wenn man keine Arbeit hat? Gesundheit und soziale Ungleichheit (both in transcript). Christa Müller directs the anstiftung in Munich. She studied sociology in Bielefeld, Marburg and Seville, did research in Spain, Latin America and Westphalia to peasant movements and modernization processes . Since 1999, she has worked on the topic of urban subsistence. In 2011, she published the anthology Urban Gardening. Über die Rückkehr der Gärten in die Stadt and co-curated the Exhibition Die Produktive Stadt – Designing for Urban Agriculture (TU Berlin u. TU Munich). Currently, she is researching on DIY-cultures as networks for post-industrial productivity. On this topic, in 2013 she published the book Stadt der Commonisten. 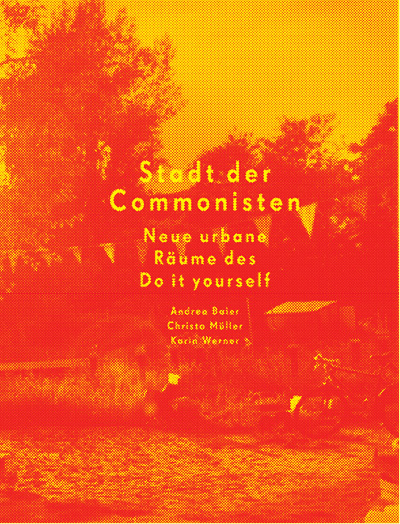 Neue urbane Räume des Do it yourself (together with Andrea Baier and Karin Werner). Elizabeth Calderón Lüning studied political science and is a co-founder of common grounds e.V.. In Colombia, she worked with and for internally displaced people and supported them in their self-organization. During this time, she also researched on civil society and donor models. Upon her return to Berlin she was involved in the creating of Prinzessinnengarten. She is currently working on the coordination and development of the Neighborhood Academy as well as advisor and facilitator for new urban community gardens. Through the projects Neues urbanes Grün and LebensMittelPunkt, funded by the German Federal Environmental Agency, she has been able to support and accompany community gardens and other grass-root initiatives in the development of their organizing structures. The association common grounds is committed to the development of resilient cities, new urban-rural relationships and a sustainable future for our food production. It supports people and organizations to take action within their daily environment in a way that leads towards a resilient future for our livelihoods and encourages a sustainable approach to local and global socio-ecological challenges. Diana Kitzinski supports the Neighborhood Academy in organization, public relations and research. As a graduate engineer for interior architecture, she is concerned with the visual and auditive perception of space. The sound instillation made around the poem Alphabet by Inger Christensen on behalf of the Literaturwerkstatt or the designs for public spaces such as the competition entry to the Platz der Stadt Hof in Berlin Neukoelln with Mettler Landscape Architecture, are examples of some of Kitzinski’s work. As an urban sociologist, she reflects space as a social product, constantly recreated through continuous reciprocity between humans and subjected to different influences. In the summer of 2014, with this as a point of departure, she wrote her master thesis at the Center for Metropolitan Studies, investigating the Prinzessinnengarten and its conflicting priorities between flexible everyday life in the garden and the ongoing changes within city politics.